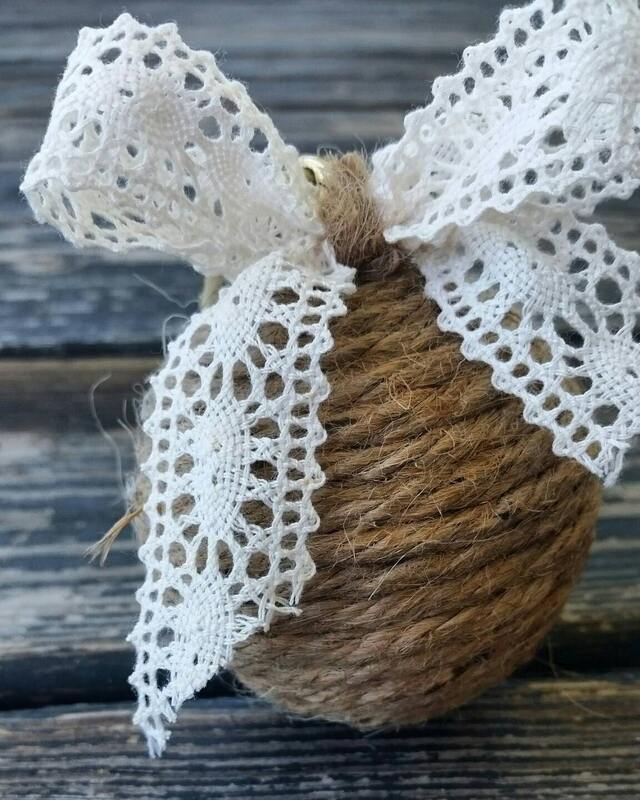 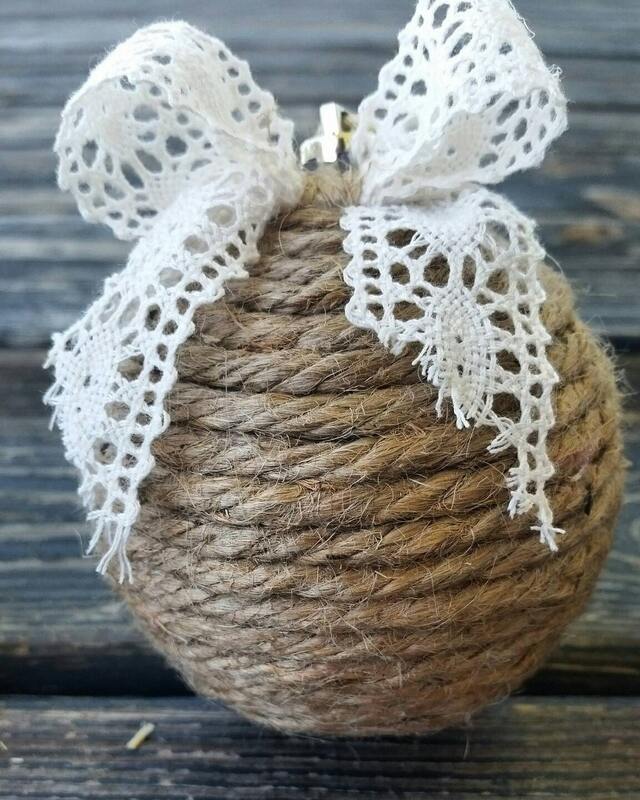 If you love rustic but elegant Christmas decor you will love these jute rope Christmas ornaments with lace bows. 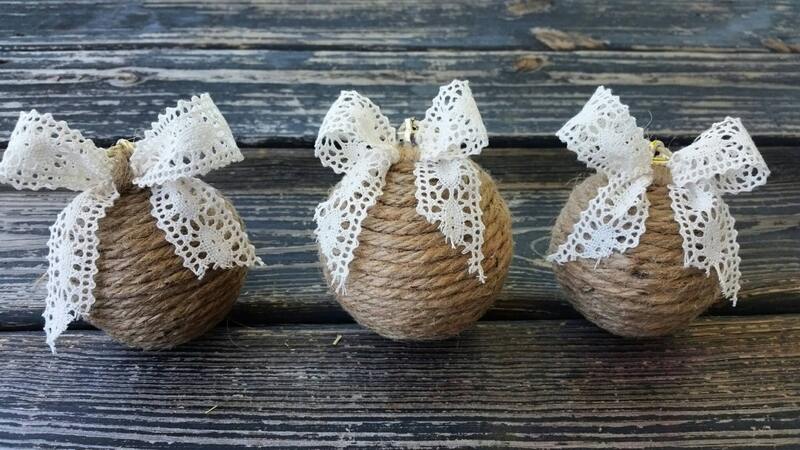 The set includes three ornaments and you have several sizes to choose from. 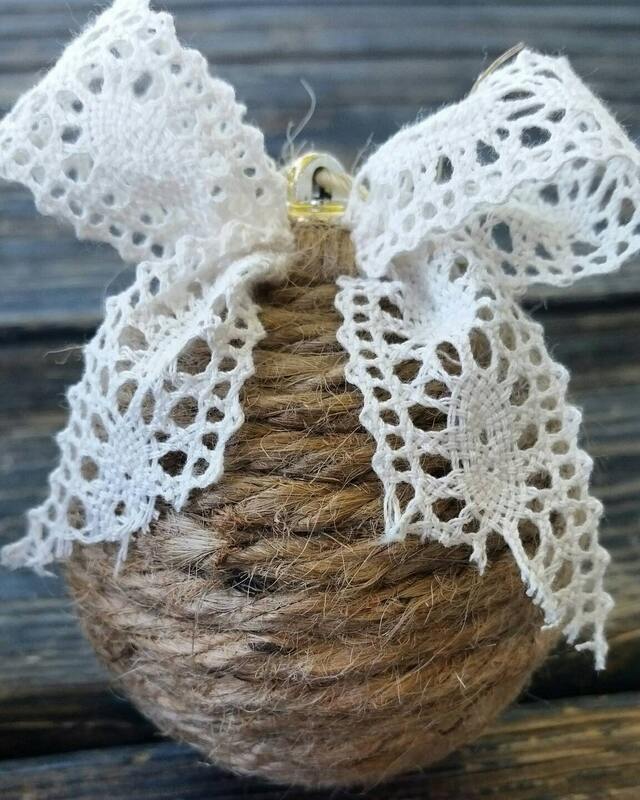 You can choose from 2, 3, and 4 inch diameter ornaments. 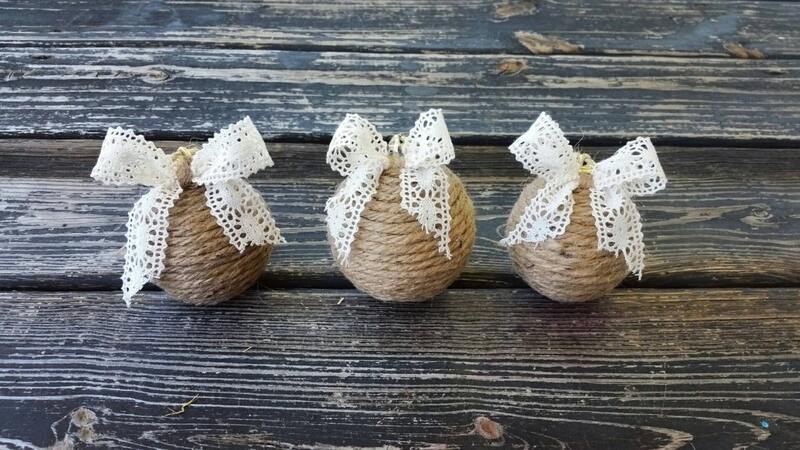 Photographed are the 2 and 3 inch diameter ornaments.